Is your morning Tube train a little less packed than before? August saw a 6.4% drop in passenger numbers across the network, with transport commissioner Peter Hendy telling The Observer that stations around the Square Mile and Canary Wharf are the main areas of reduced volume, as sacked City workers stay at home to trim their begonias or whatever ex-hedge fund managers do to while away the live-long day. Against such a drop in revenue — 200,000 less commuters a day means a lot less Oyster card refills — a sharp fare rise is inevitable. The "already very tight" TfL budget needs a 7.4% rise in fare income along with a 3.5% jump in passenger numbers next year. 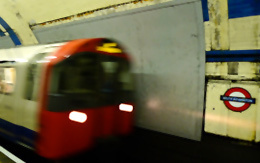 Boris Johnson has already muttered darkly about the transport black hole faced by TfL, and commuters will be likely face 6% fare rises for the next two years, similar to the inflation-busting rise at the beginning of 2009. LIke any good politician, Boris has found a handy scapegoat in Ken Livingstone, whom the Mayor says kept fares artificially low and hence created the budget hole in the first place. The budgetary woes should encourage those conspiracy theorists who think the decision to drop the zone boundaries from the new Tube map, or the shifting of Shoreditch High Street into Zone 1, are motivated by the desperate rattling of pennies in a tin can. If so, expect plenty more such bright ideas in the years to come.